Zola looks amazing and a lot like royalty in this Gold set. I had a vision for layers of texture and fabrics that would be rich and warm for this winter studio set. I wanted a reminder of all the wonderful elements of feeling surrounded by the sun in all it's shades of golds and yellows. It is so much fun to take portraits of girls inside the overlays of colors we created. I finish off each session with a cup of hot cocoa (or tea)! A memorable experience for creating art you will both love for a lifetime. 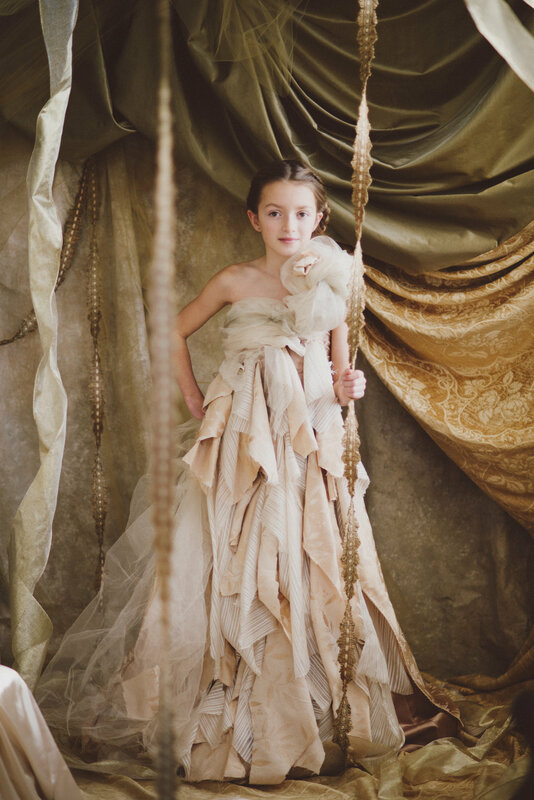 Here is what Heidi (mom) had to say about the session: " As an artist, and having worked as a photographer myself, it had never occurred to me to have someone outside of the family make a portrait of my daughter. What a treat it was to see my somewhat shy girl go before Jen's lens, step into the set, and let herself shine. Jen made her feel comfortable. I love how honest and timeless the images feel. No makeup, no harsh lights. Jen has beautifully preserved the warmth and twinkle in her eyes, which she will never outgrow." Did you mean to have portraits done before the Holidays but got too busy? Now is your chance to take advantage of this truly unique setting for portraits. Your girl can use the many dresses on my racks or bring your own. She can also come solo or bring her sister or best friend! What a special gift to give. We can use this time together as a Little Women session (check out my blog for more posts about these special confidence boosting sessions for tweens!) 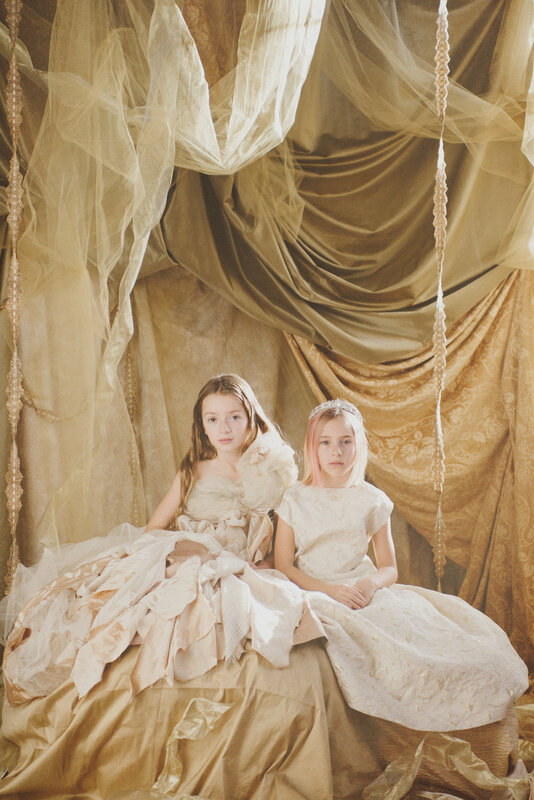 or just a Dream Session for your little girl. This set will only be in my studio for a short time. Call 207-318-0467 or email me at jen@jendeanphoto (or use the form on this website contact page) to schedule your session before it's gone! Newer PostBambi's Portrait Session- "An Investment in Your Self Esteem"